This Place of Worship was founded in 1934, but we understand it was closed in 1957, and the premises are now in secular use. 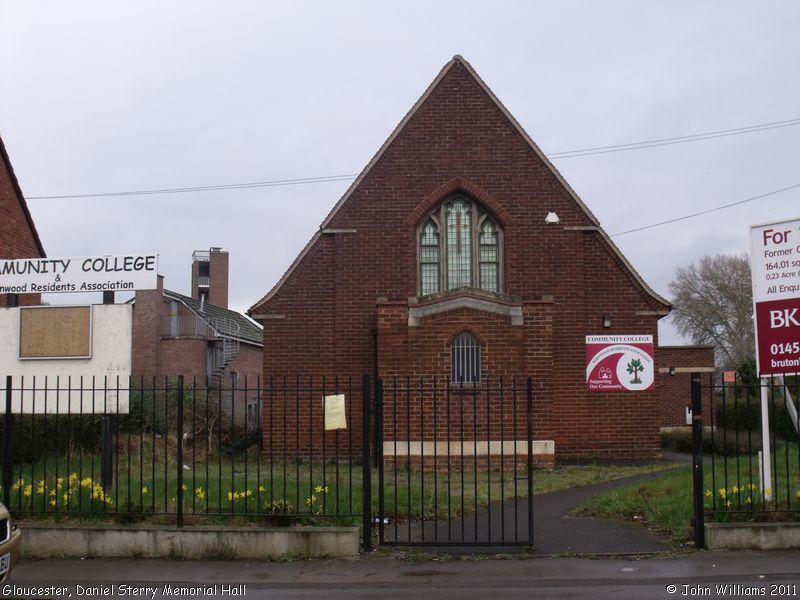 Primitive Methodists had been holding services in Coney Hill in a hall in Newton Avenue, until this church was built, at the expense of Elizabeth and Violet Wheeler, as a memorial to Daniel Sterry. It was held by Methodists until 1957, when it was bought by the Salvation Army. They met in the building until 1961 when a new Citadel in Eastgate Street (then Barton Street, diagonally opposite All Saints) was built. The Marriage register between 1938 and 1954 shows that marriages took place according to the rites and ceremonies of the Methodists during that period. The same register continued to be used by the Salvation Army, with just one marriage being recorded, in 1957 according to the rites and ceremonies of the Salvation Army. The officiating minister was the same authorised for previous Methodist marriages. In 1961 the register was closed by The Registrar General, and placed in custody of the secretary to the Methodist Church Conference, and the building taken out of use as a place of worship. Coney Hill (Daniel Sterry Memorial) Methodist Church, Gloucester shown on a Google Map. Information last updated on 30 Dec 2014 at 16:23. 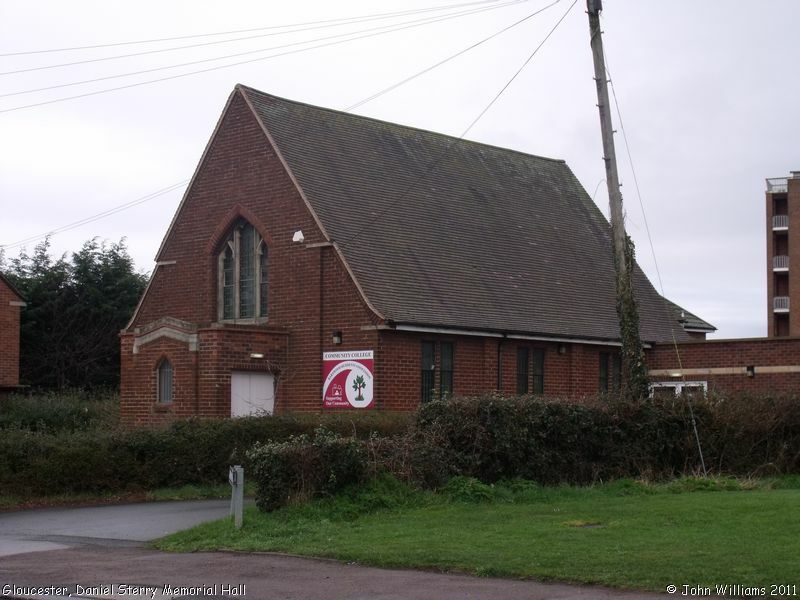 Please also remember that the former Coney Hill (Daniel Sterry Memorial) Methodist Church is understood to be in secular use, so care should be taken to preserve the privacy of its occupants. This Report was created 7 Apr 2019 - 03:44:51 BST from information held in the Gloucestershire section of the Places of Worship Database. This was last updated on 7 Feb 2019 at 07:45.